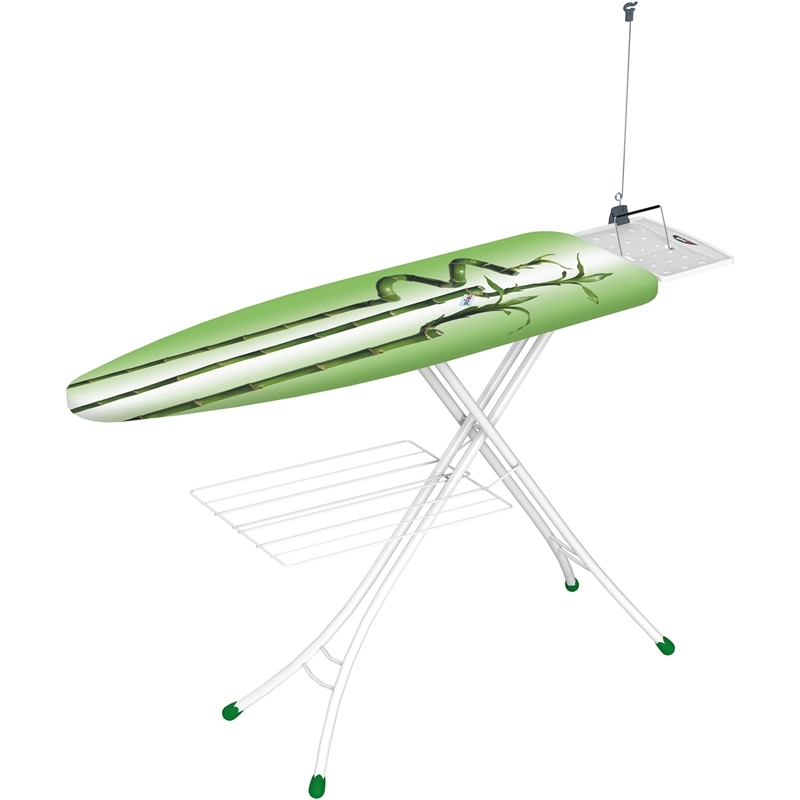 Durable and steady with a height adjustable frame for easy reach. 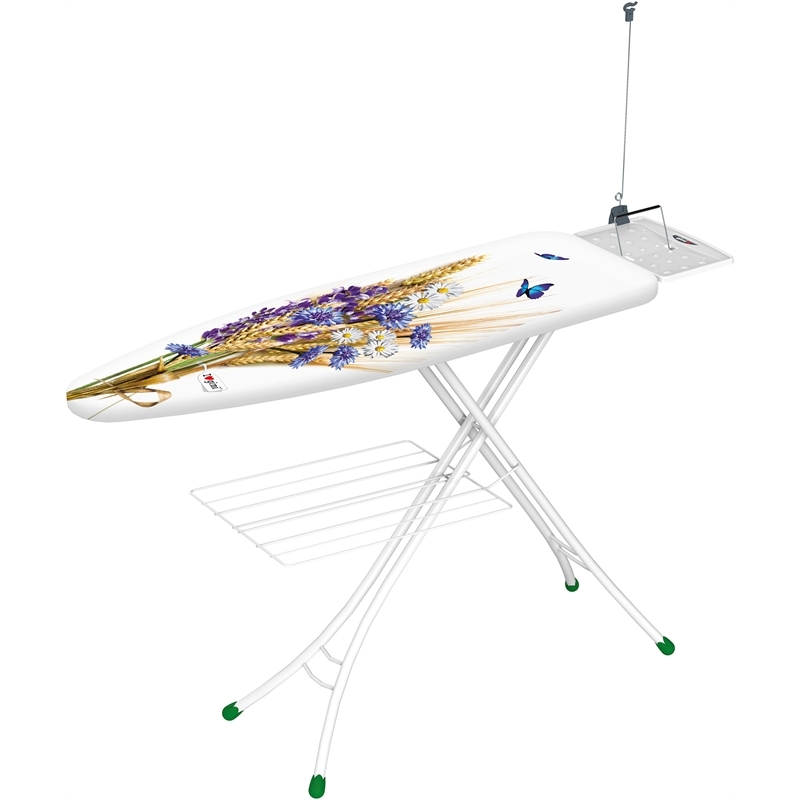 The Prestige ironing board is suitable for both the right and left handed. 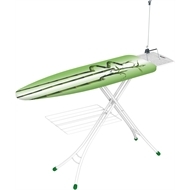 The reversible iron rest/folding stand—with the addition of an under-board racking system—makes this ironing station perfect for small or large spaced use. 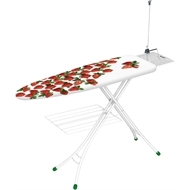 Features a 100% cotton ironing board cover with padding for smoother crease removal. Available in a variety of beautiful patterned designs.